Watch the popular video for children about cars! 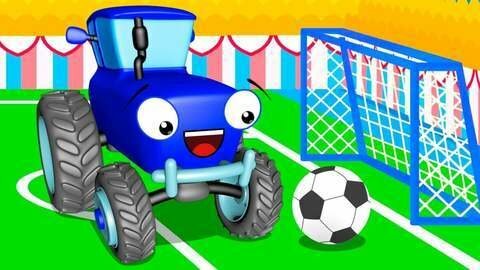 Today you will see how the Blue Tractor and the Monster Truck play fun football by teasing each other. How will this fascinating match end? Don't miss the funny and educational cartoons for kids online for free at SeeZisKids.com!